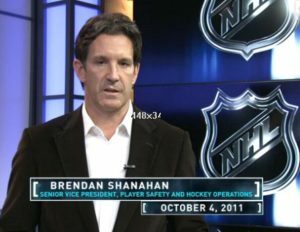 This week, the social webs are abuzz with the series of videos being released by new NHL disciplinarian Brendan Shanahan, explaining each disciplinary decision being made. The videos, released after each controversial call, suspension or – conversely – decision not to suspend a player – explain, in a matter-of-fact tone, the reasons behind the decision. The wisdom of hockey crowds? The decision by the Montreal Canadiens this season to allow the fans to pick the three stars of each game, by voting online or via a mobile application, is causing a stir – and significant debate – among hockey fans. On the one hand, many are lauding the move for getting the fans involved. After all, there are no fans more passionate than Habs fans (says this Habs fan). 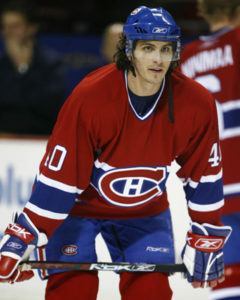 Montreal is a city with three and a half million general managers, where every single fans believes that they know best. The three stars, traditionally selected by the media, were usually met with barely more than an eyeblink. Now, people can participate. But is this really such a good idea?